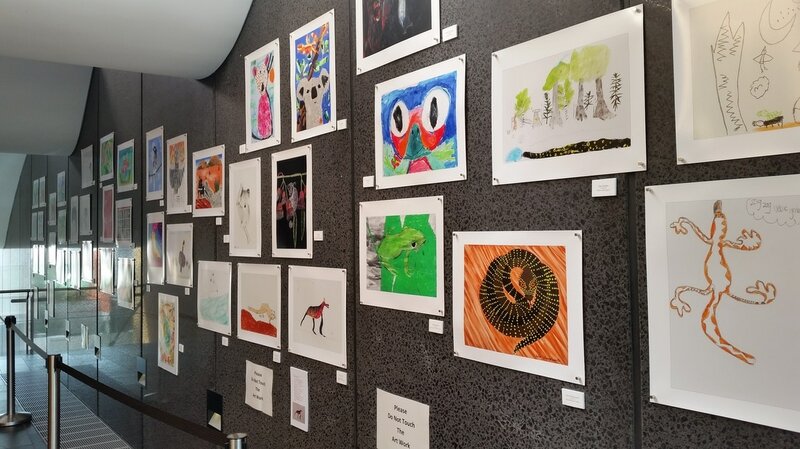 The Threatened Species Children’s art competition helps children unleash their artistic creativity while learning about the extinction crisis facing our native plants and animals. It aims to encourage the next generation of environmental leaders. In 2016 we started a children’s art competition because we wanted primary aged children to be able to express their feelings about our vanishing native species by creating original paintings and drawings, and writing about their work. We were astonished at the results. Over 600 children contributed and produced some of the most profoundly insightful artworks we had seen. 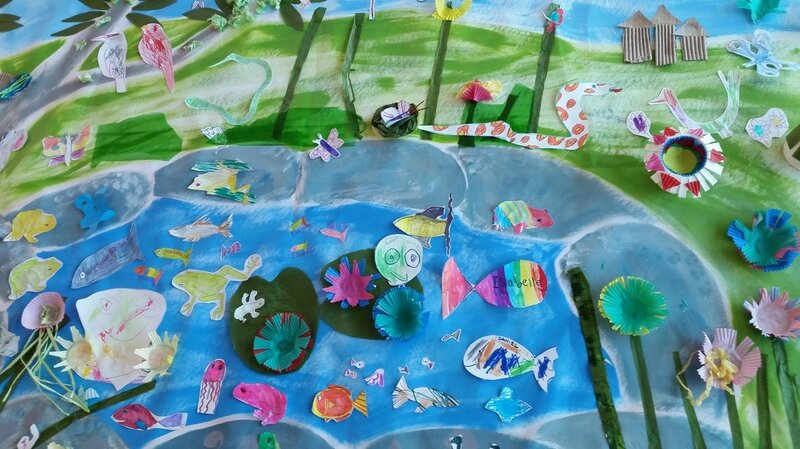 Childrens’ inspiring and challenging creations and written explanations delivered the message that we need to cherish and protect our threatened native plants and animals, and reconnect to the environment which sustains and nurtures us. In 2017 the competition grew much larger than even we could have imagined. Over 1600 children entered. 63 schools and 14 other programs got involved. Our exhibition was more publicly accessible than before, with an exhibition in the Botanic Garden Sydney. We expanded to welcome entries from the ACT. The exhibition went to Canberra after Sydney and was appreciated by a whole new audience. In 2018 over 2700 children entered the competition. Exhibitions were held at the Surry Hills Community Centre, the Royal Botanic Garden Sydney, and the Coal Loader Sustainability Centre in North Sydney. The ACT held a parallel competition once again and their exhibition was held in the National Botanic Gardens Canberra. In 2019 the competition looks like being bigger than ever. International charity Humane Society International has come on board and will have oversight of the competition in NSW, the ACT and Victoria. The Kids in Nature Network will be running the competition in Victoria and even more children will be learning about our precious threatened species and bringing awareness to an ever expanding public audience. Purple copper butterfly by Amelia Gutwenger (5) Winner, 5-8 year olds. The judges are not simply looking for works that display outstanding technical skills. They will be looking for surprising or interesting interpretations and compositions, and work that demonstrates an emotional connection with the species. Expression: How imaginatively the work conveys an idea or emotion, or incorporates a specific story. What Prizes will be offered? There will be seven categories of prize winners: 5-7 year olds, 8-10 year olds and 11-12 year olds, with special categories of Most Unusual Entry, Best Plant entry, Best Group-work Entry . First and second prizes will be awarded in all of those categories. A separate prize will be awarded for the best written explanation or story of the work. A number of Highly Commended awards will also be given. No cash prizes will be given. Prizes include art equipment, gift vouchers for Westfield and Smiggle, books, and passes to Taronga Zoo and Featherdale Wildlife Park. All prize winners will have their work displayed in the exhibition. A number of high profile organisations have lent their support to the competition.